Happy Thanksgiving, dear friends. I'm thankful for all of you! I'm going off-line for a few days, and will be around to visit soon. Love the fruit platter! May God bless you and yours this Thanksgiving. What a great idea for a platter! Wonderful. Now that is amazing, such a fun platter. Happy Thanksgiving. Wow! What a beautiful fruit platter. I definitely am pinning it. Wishing you and your family a joy-filled Thanksgiving. Cute fruit presentation and healthy! Happy Thanksgiving! That is so beautiful - and cute!! That is a fun platter. Wishing you and your family a very Happy Thanksgiving. Just so cute! Thanksgiving joy and blessings to you and your family Deborah. Your blog is always a blessing to me. That looks yummy! And a very Happy Thanksgiving to you and all your family, Deborah! Happy Thanksgiving, Deborah! Your creative fruit platter made me smile. Such a nice display...looks tasty! 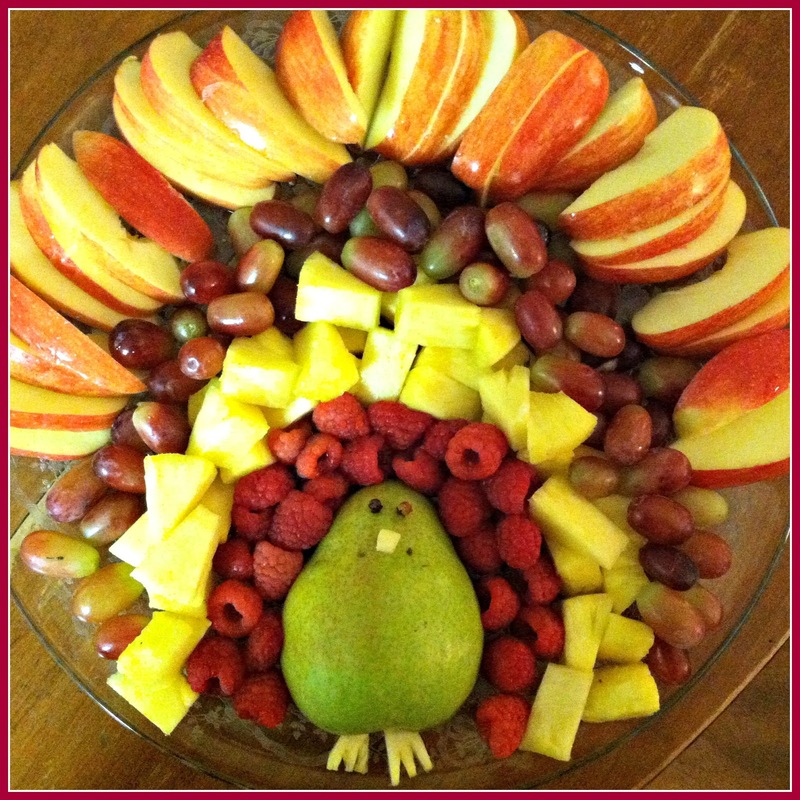 What a beautiful, colorful and healthy turkey, Deborah. Happy Thanksgiving blessings to you, sweet friend. Isn't that a cute idea! I will have to remember that. Sorry, I'm late for Thanksgiving but hope you had a lovely day! Your turkey is incredible and what a genial idea.